Jurisdiction is a complex legal doctrine, but a fairly simple concept. Jurisdiction is how legal regimes govern crypto, and how crypto will govern legal regimes. 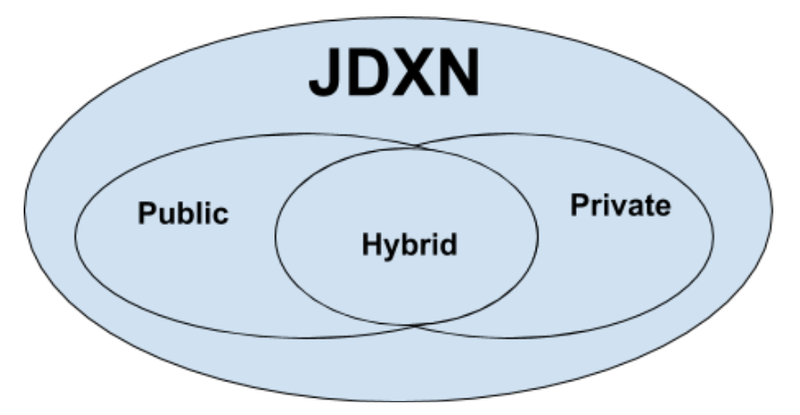 In essence, jurisdiction (“jdxn”) refers to (1) who can (2) do what (3) where. That’s it. Jurisdiction comes in many forms. Public and private jurisdictional spheres overlap to form hybrid public-private jurisdictional spheres (such as, say, (1) “private” arbitration, (2) “private” campus security, (3) “private” technical standards like Wi-Fi or Bluetooth, etc.). Please note, even though arbitration is typically described as a “private” dispute resolution mechanism, arbitration is actually premised on all three forms of jurisdiction. In this context, jurisdiction can be said to be private if parties voluntarily invoke the arbitration mechanism or, say, choose to honor an arbitration agreement’s confidentiality provisions. Arbitration is public when a party and/or parties refuse to comply with the terms of the arbitration agreement. The easiest way to illustrate the public nature of supposedly private arbitration regimes is where a party to an arbitration agreement refuses to submit a dispute to arbitration, and where a losing party in an arbitration proceeding refuses to comply with the terms of an arbitral award. Ultimately, the only way to compel arbitration and/or to enforce an arbitral award is to invoke public en-force-ment mechanisms, such as obtaining a judicial order holding a party in contempt of court (which can subject that party to fines, penalties, and/or even jail time!). In terms of en-force-ment of arbitral awards, this can mean a separate public lawsuit to obtain an en-force-able judgment that can then be presented to a sheriff or other law en-force-ment body for asset collection, repossession, seizure, etc. Hence, even “private” arbitration regimes are often embedded in hybrid public-private jurisdictional frameworks. Next, it’s important to recall that our private + private + hybrid jurisdictional bubbles are neither autonomous nor static. 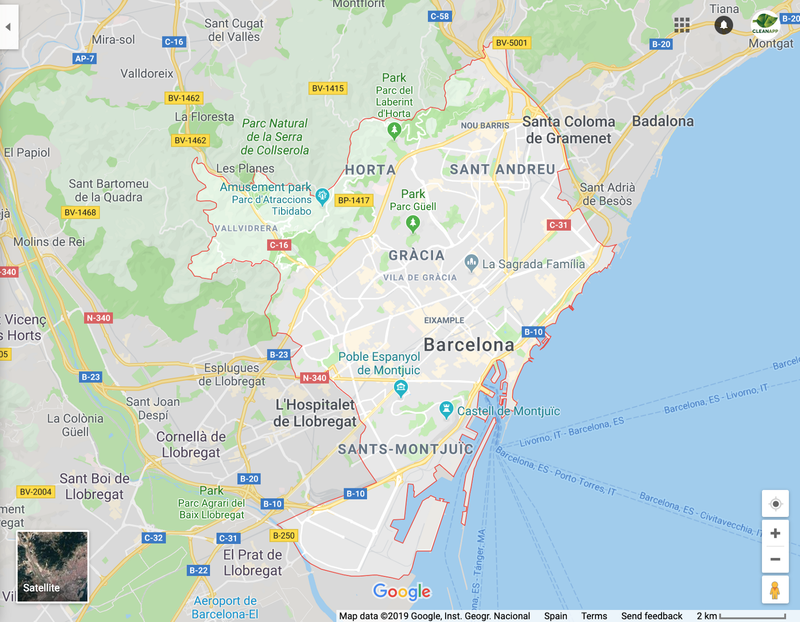 In reality, there are many similar, broader and narrower jurisdictional planes that accompany, inform, and/or bracket the specific jurisdictional plane under analysis (e.g., a hypothetical arbitration proceeding between, say, A & B “in” jurisdiction X). Parties may think they have agreed to arbitrate a given dispute “in” X, but X is already formally interlinked with Y, Z, et al., in complex and nuanced ways. If this looks like a BigData problem in need of a blockchain solution, your intuition is absolutely correct. A secure global blockchain jurisdiction map is a killer blockchain app, and is a core global crypto scaling need. Robust jurisdiction maps are how crypto can govern legal regimes, in addition to the other way around. 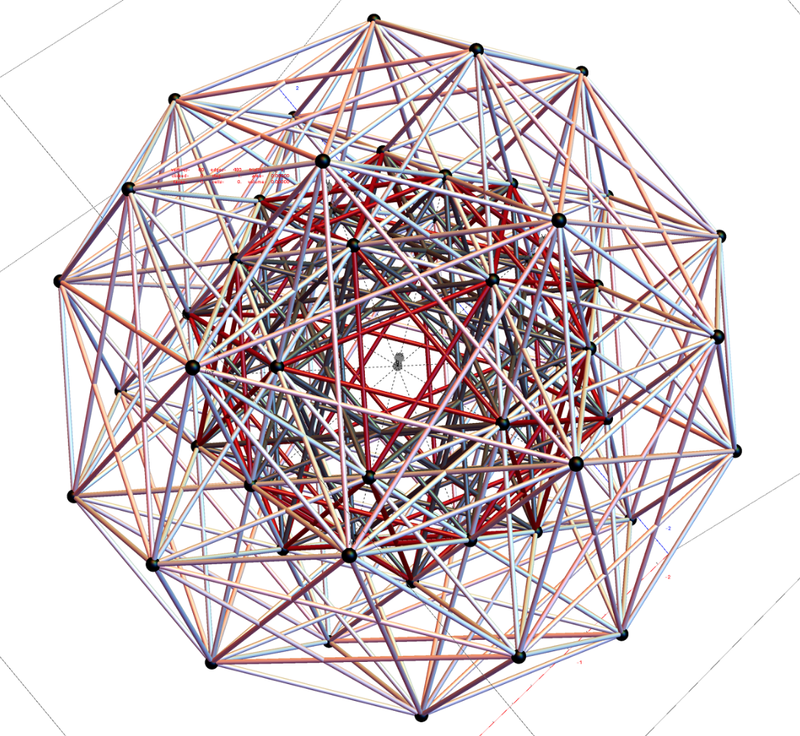 The reason asymptotically accurate global jurisdiction maps can only be built on blockchains is twofold: (1) jurisdiction lines are the products of jurisdictional disputes, so a more-or-less objective consensus-mapping engine produces extremely valuable data with real-world utility; (2) jurisdiction lines are always evolving over time. So, instead of a static or deterministic jurisdictional maps, here’s a better representation of jurisdiction. If this seems messy and un-mappable in any robust and dynamic way, that’s a fair initial impression. But there’s a method to the madness. Many jurisdiction lines (like, say, political borders and property boundaries) are fluid, but evolve very slowly. So many of the valuable actionable layers that need to be mapped can be mapped with extremely high levels of precision and accuracy. Just consider the efficacy of existing centralized mapping services, like Google Maps. City boundaries and roads change course, but slowly. Lest you doubt the utility and value of blockchain jurisdiction mapping, let’s recall that jurisdiction = (1) who can (2) do what (3) where. This applies to everything from smarter liability regimes to better and safer frameworks for navigation. Our world is literally built on maps — including base-level jurisdiction maps. Maps are the foundation of everything we do. Jurisdiction mapping applies to macro scales, like boundaries between municipalities or property owners. Jurisdiction mapping is also done at finely-granulated micro-scale levels. 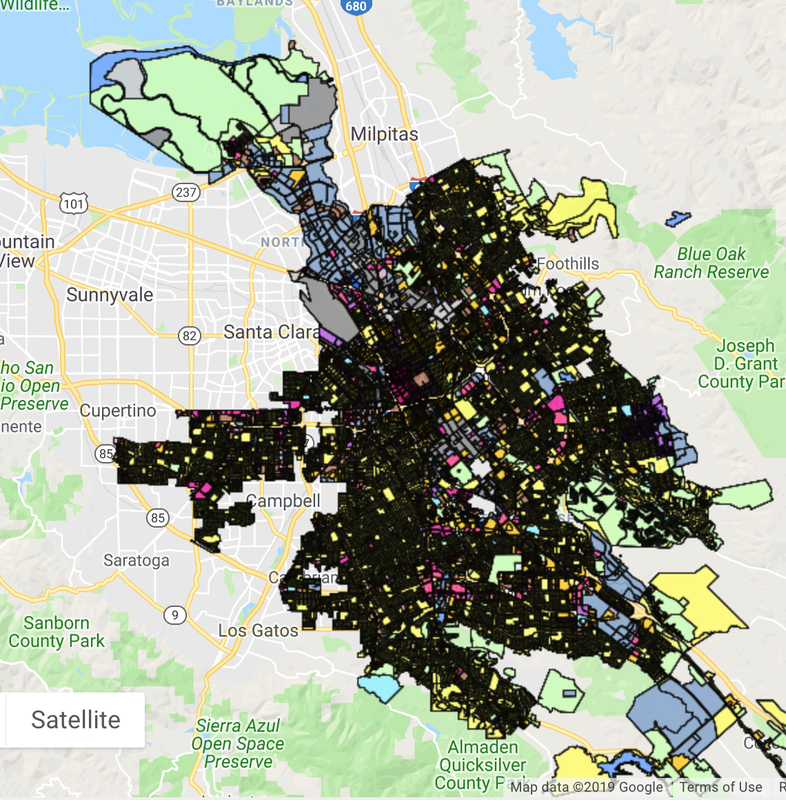 For example, consider the real-world utility of maps of land use ordinances in, say, San Jose, California. Or, consider the real-world utility of maps that answer who is responsible for cleanup of a dangerous spill at a specific location in your local supermarket, or at a SpaceX launchpad complex. In order to know who is responsible for A, at location B, at time t, we need to know (1) who can (2) do what (3) where. This is reflected in widely-used paradigms like jurisdiction shopping, suggesting that as between multiple potential governing jurisdictions, individuals are completely free to choose which jurisdictions will govern them. This is true in some regards, and totally untrue in others. Example 1: Corporations in the United States are generally free to choose their state of incorporation (with many corporations opting for a bundle of liability shields offered by the jurisdiction of Delaware). But that’s not always the case. Sometimes, specific types of corporations must incorporate in the state where they do business. Example 2: Contract parties are generally free to choose the law they want to govern their desired contract, as well as a dispute resolution forum (where the dispute will be heard, by whom, how, when, etc.). But even in jurisdictions with strong freedom-of-contract protections, parties’ power to “shop” for jurisdictions is limited by … multiple other jurisdictional frameworks. The first step in determining what these multiple other jurisdictional frameworks are is to … map all possible jurisdictional layers that constrain (1) who can (2) do what (3) where. Choice of Forum: in the event of a dispute in connection with this agreement, or arising out of this agreement, parties agree to binding arbitration in California by reference to JAMS rules of arbitration. Choice of Law: in the event of a dispute in connection with this agreement, or arising out of this agreement, such dispute(s) shall be governed by California law. A & B may think they will be doing “private” arbitration “in” California. If a contractual dispute arises between A & B, but A & B agree to start an arbitration process with JAMS in, let’s say, San Francisco — then the parties have a contract dispute, but they may not have a forum/venue dispute (at time t). (Of course, this doesn’t mean that they may not have a forum/venue dispute at time t + 1). Next, just because the parties previously agreed to “arbitrate in California” does not mean they cannot sue one another in a public court of law outside of California. If neither party challenges the public lawsuit, they have essentially modified their contract, consented to the public jurisdiction, and waived their earlier insistence on “private” arbitration. Thus far, it still seems like an opt-in/opt-out paradigm. But if the parties cannot agree on litigation versus arbitration (irrespective of the earlier COL/COF provisions), then the earlier opt-in becomes inoperative until and unless it is en-force-d by a public law en-force-ment authority (or legitimate threat of invocation of law enforcement authority). Even then, the scope of public law en-force-ment is partially structured, informed, and constrained by the earlier private agreement. Public > Private > Public. Thus far, it may seem that we’ve been talking about very narrow and technical where questions. But as we saw with our analysis immediately above, where a dispute is adjudicated/arbitrated may determine what law governs as well. COF > COL > COF. The enforceability of a given crypto arbitration agreement is not radically contingent: it doesn’t depend on a given judge’s mood or what they had for breakfast. But it does depend on a lot of factors largely outside of the parties’ control at the moment of contract formation, and long thereafter. Because the law books are written by imperfect human law actors, law is always an imperfect undertaking, a homing beacon pushing society towards expressly unattainable, but extremely seductive, ideals. As an analytical exercise, jurisdiction mapping is extremely helpful because it allows us to map the full range of possible procedural and substantive legal arguments that can be made in support of, and against, a given position (subject to time, resource, and other constraints) — across an inherently fuzzy and pluralistic jurisdictional matrix. In the context of global public blockchains, jurisdictional-agnosticism and jurisdictional-contingency are already at play, simultaneously (though, often, this happens subconsciously). To achieve global scales, blockchain developers already operate outside and across jurisdictional bounds; yet in their quest for greater global scales, blockchain developers will continue to labor under the twin anxieties of jurisdiction shopping and jurisdictional capture. Jurisdiction questions already structure how blockchain developers think about their projects. Hence the need to make the legal issues even more explicit. Acknowledging the operation of plural, overlapping, and conflicting jurisdictional authorities is a prerequisite to stronger substantive legal arguments and postures as well. It allows us to get comfortable with the fact that we cannot ever fully eliminate legal uncertainty and legal risk. Ambiguity presents challenges, but also immense opportunities. By now, we should see that our jurisdictional maps are more lava lamps than static 2D maps. But even though our maps are fluid, they still allow us to ask narrow legal questions and, yes, to obtain actionable sets of answers. Some of these answers may be more dispositive (outcome-determinative) than others; but all of these answers are useful. Once we see that global jurisdiction maps are dynamic Venn bubbles, answers to legal questions can never be 100% clear: there will always be overlapping gray areas. Therefore, for blockchain stakeholders with an eye on the integrity of the system as a whole, the most valuable answer to any legal question is the largest possible set of jurisdictionally-ambivalent and jurisdictionally-bounded answers, not just some narrow jurisdictional subsets (how the U.S. does this; how China does that; how Singapore intends to do Z; etc. ).